A spacious and well-presented 2 double bedroom family home with large upgraded kitchen/diner and French doors leading to the low maintenance private garden. 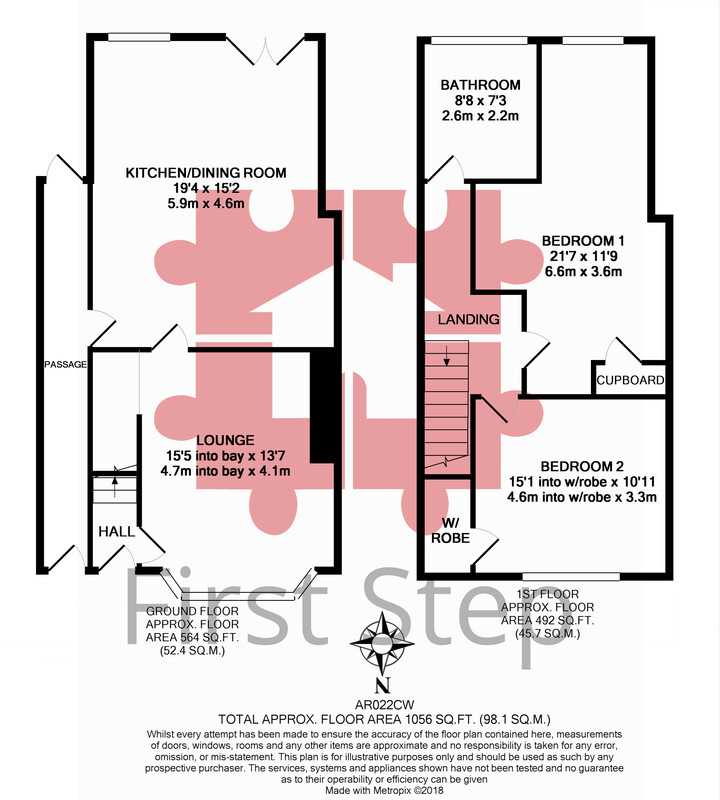 The property benefits from 2 double sized bedrooms and a light upgraded family bathroom. Off road parking for 2 cars and only minutes walk to the railway station. Front garden Shingle driveway with parking for 2 cars leading to the front door, outside light, storm porch. Lounge 15' 5" x 13' 5" (4.7m x 4.1m) UPVC double glazed bay window to front aspect. Under stairs storage area, carpet, ceiling light, TV aerial, BT point. Kitchen/diner 19' 4" x 15' 1" (5.9m x 4.6m) UPVC double glazed window and French doors to rear aspect. Kitchen fitted with a range of white gloss base and wall units with a complementary black worktop. Integrated dishwasher, double electric oven, electric hob and chimney extractor. Space for tall fridge/freezer & washing machine. 1 ½ black sink & drainer with mixer tap. Wooden flooring, radiator, inset ceiling spot lights, smoke alarm. Door leading to covered side pedestrian walkway for storage with UPVC doors to the front and rear. landing Carpet, radiator, ceiling light. Loft access partially boarded with light and ladder and boiler. Bedroom 1 21' 7" x 11' 9" (6.6m x 3.6m) UPVC double glazed window to rear aspect. Carpet, 2 x ceiling lights, radiator. Full height storage cupboard/wardrobe. Bedroom 2 15' 1" x 10' 9" (4.6m x 3.3m) UPVC double glazed window to front aspect. Carpet, ceiling light, radiator. Large storage cupboard. Bathroom 8' 6" x 7' 2" (2.6m x 2.2m) UPVC double glazed privacy window to rear aspect. White suite comprising: Pedestal wash basin, with chrome swan neck tap, low level lever wc, 'P' shape panelled bath, chrome taps & wall mounted shower with glass screen, fully tiled. Chrome heated towel rail, vinyl flooring. Ceiling light. Rear garden South facing enclosed garden with wooden fencing to perimeter. Patio. Low maintenance garden, shed, outside tap and light. Parking Off road parking for two cars at the front of the property. There are council garages en bloc near to the property, that are vacant and available to rent. 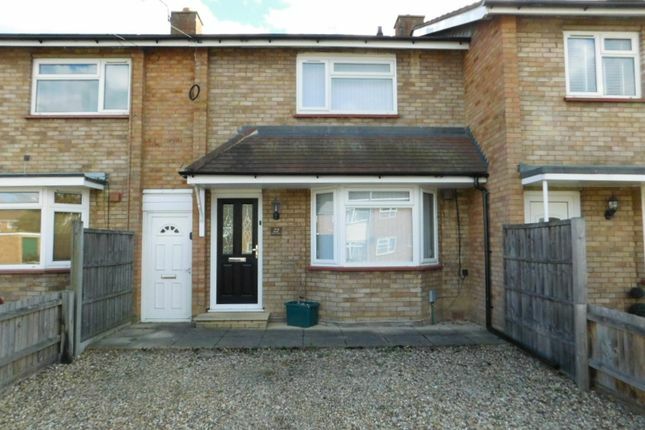 local area The property is situated on the outskirts of Arlesey which benefits from the lovely open countryside close by with excellent cycle routes, whilst also being only a few minutes drive from the A1(M).